What do you get when you mix southern charm with The Bachelor? Only the most romantic proposal ever. Sal is a fellow classmate at the Charleston School of Law. He messaged me one day to tell me he was planning on proposing to his girlfriend and asked if I could photograph it. Well, of course I said yes! Y'all know weddings are my passion. 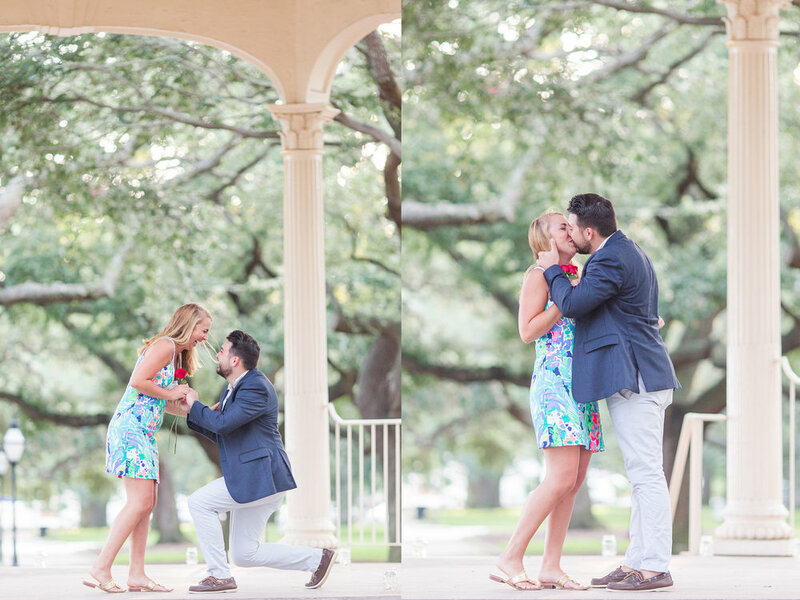 Proposals are the start of the story, and I jump at any chance I have to photograph one. They're my favorite! Sal told me his plan, and I just got more and more excited for the big day. Many of their closest friends showed up to help pull off the surprise. When Danielle arrived, so much joy flowed through the air around everyone. She was so surprised and so happy. It was the sweetest thing ever, y'all. With all that being said...guys, take notes. Hire yourself a photographer (and you know I'd love to be that photographer ;) ) to capture all the excitement when you pop the question. I can already tell you that your girl will want photos of the whole thing!